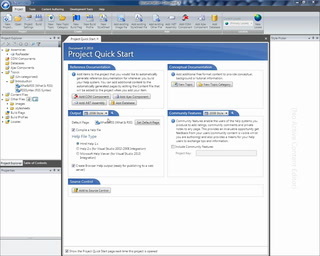 The HelpStudio Topic Editor features world class editing features together with a template based layout that reduces to a minimum the amount of formatting you need to do on a Topic by Topic basis. 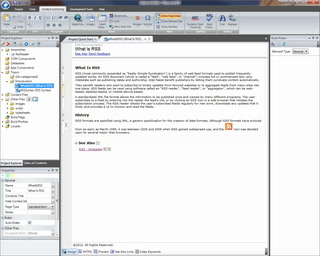 The editable area of the Topic is bordered by a dotted line. The header and footer areas around this are generated using a customizable HTML based template. Different types of Topics can use different page types if required; saving time and effort formatting individual topics and making it quick and easy to change the look and feel of your content over time or for different outputs without re-working the actual topic content. 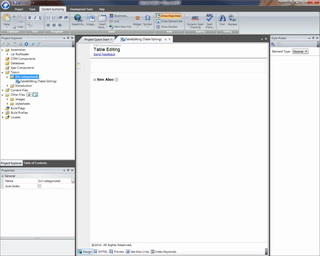 Dynamic spell checking in the Topic editor makes it easy to spot typos as you work. The buttons in the See Also section (visible only when you are editing the Topic, not in the output) can be used to manage the list of See Also links for this Topic. As well as the visual editor, you can edit the topic content XHTML source (with intellisense and tag completion), preview how the Topic will look in the generated help, define Tasks to manage Topic progress and define custom Index Keywords for the Topic. HelpStudio Topics are based on a page layout template that makes it easy to create a professional layout quickly and to customize and adapt the layout over time without having to modify each Topic individually. Create custom Templates to define a common topic structure and style across your projects. Creating links in the content that you author improves the usability of your help by providing quick and easy access to related content. 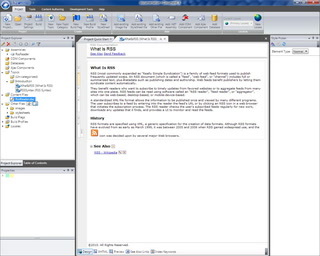 In HelpStudio you can create links between your content using standard hyperlinks, or See Also links that are grouped at the end of a given page.